The Stellar Book Award is BC's Teen Readers' Choice Award. 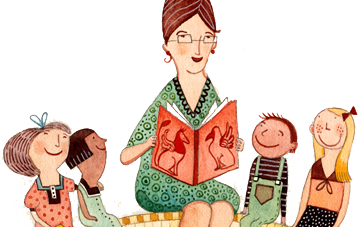 The inaugural year of the "big sister" to the Red Cedar Book Award is 2005/2006. Teens select the nominated titles, sit on the Steering committee, write content for the website, design graphics, interview authors, write reviews and rank the titles on the website. Ultimately a winner is announced in May of each year. To be considered for nomination the book must have been: written by a Canadian citizen or landed immigrant who has lived in Canada for at least two years; published two calendar years before the nomination date; published by a recognized publisher and available in print; recognized by other reviewers of Canadian literature; and recognized as being of general interest to teens. Both non-fiction and fiction for young adults will be considered for the award. For information or to email YRCA board members, please see the official website. 2013 Moira Young, Blood Red Road. Toronto: Doubleday Canada, 2011. 2011 Kelley Armstrong, The Summoning. Toronto: Doubleday Canada, 2008. 2010 Deborah Lynn Jacobs, Choices. New Milford, CT: Roaring Brook Press, 2007. 2009 Carrie Mac, The Droughtlanders. Toronto: Puffin Canada, 2006. 2008 Diane Tullson, Red Sea. Victoria: Orca Book Publishers, 2005. 2007 Carrie Mac, The Beckoners. Victoria: Orca Book Publishers, 2004. 2006 Barbara Haworth-Attard, Theories of Relativity. Toronto: HarperTrophyCanada, 2003.